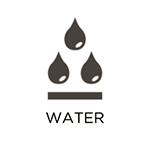 RestorationMaster is a leading provider of water damage restoration services in Westlake, OH. Through our comprehensive, 24-hour approach, we respond rapidly, secure the original source of the problem, and restore affected areas. Swift and decisive action can prevent permanent damage from occurring and reduce the risk of mold growth. Whether your property has sustained damage from heavy rains, flooding, a burst pipe, an overflow, or something else, we encourage you to contact our representatives as soon as possible. Whether you are a residential or commercial property owner, recovering from a fire is no easy task. The fire itself can devastate your building and belongings in seemingly no time at all, while the resulting smoke and soot can cause permanent damage for days following the event. 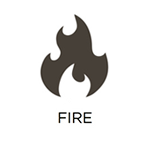 At RestorationMaster, we offer comprehensive fire damage restoration services to prevent these occurrences. No matter the scale of the damage, we will respond rapidly to secure your property, restore affected belongings, and repair your building. We offer these services 24/7 to property owners in Westlake, OH. Anybody who lives in Westlake, OH, will recognize just how rapidly the weather can change, and the variety of conditions the area can face. Tornadoes, blizzards, and thunderstorms are just a few of the disasters that can wreak havoc. At RestorationMaster, we offer 24-hour storm damage restoration services to get affected property owners back on their feet. We respond rapidly to secure your property and begin the restoration process. At RestorationMaster, we offer advanced mold removal services to property owners in Westlake, OH. 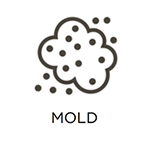 Our technicians will locate all sources of mold growth, contain the mold, and eliminate it completely. We will then work to restore affected areas. Through a rapid response, we can tackle mold growth on your property so that it does not cause unnecessary damage to your building, belongings, or health. No matter where the mold begins to grow, we will remove it. At RestorationMaster, we offer rapid, effective, and compassionate trauma and crime scene cleaning services to property owners in Westlake, OH. We coordinate our sanitization and restoration services with the detective, legal, and medical work of law enforcement and EMTs. Whether your property is exposed to a severe accident or dangerous crime, we will respond swiftly to remove hazardous elements, restore affected areas, and return your property to normal. 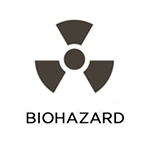 Biohazard materials (such as blood, chemicals, and sewage) can pose a serious risk to both your property and health when they are present in an uncontrolled manner. At RestorationMaster, we offer 24/7 biohazard cleaning services to remove these substances and secure your property. Our technicians utilize advanced equipment to do this and adhere to governmental handling and disposal regulations. We will respond rapidly and effectively to return your property to its original condition. We offer these services to residential and commercial property owners in Westlake, OH. When fire, smoke, water, mold, and other elements cause damage to commercial properties, the results can be particularly costly. At RestorationMaster, we offer complete commercial restoration services to limit these costs. Whether you own a storefront, school, warehouse, church, or other commercial building, we have the resources, equipment, and methodologies to respond rapidly, secure your property, and return building elements and assets to their original condition. As a business ourselves, we understand that each hour away from standard operations is lost revenue, and a major hit in a number of other ways. We offer these services to commercial property owners in Westlake, OH.